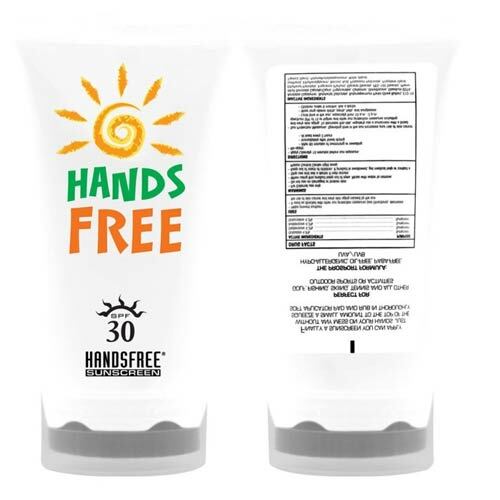 Hands Free Sunscreen The easy to apply sunscreen.Great for all outdoor events. No mess. 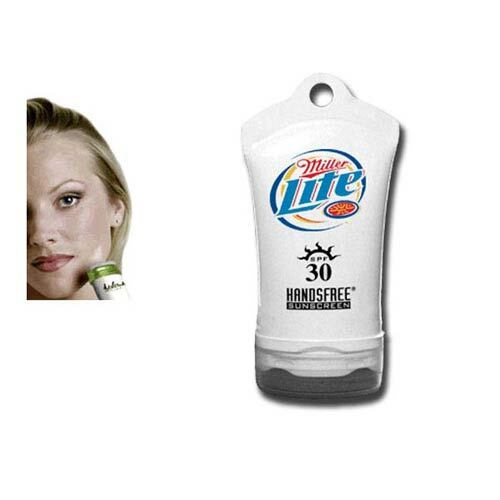 Just squeeze a little lotion out and rub it in with the soft foam applicator. No Mess, No Waste. SPF 30 1oz. Hypo-allergenic, oil free, Paba free, UVA/UVB, waterproof. Bulk / 14 lbs lbs / 100 pcs. 5 Working Days *Production time begins after artwork approval and does not include shipping time. Imprint Area: 1 1/2" x 1 1/4"